Chemical results: K+ yellow, C-, P-/P+ v pale yellow, UV-/UV+ dull orange. 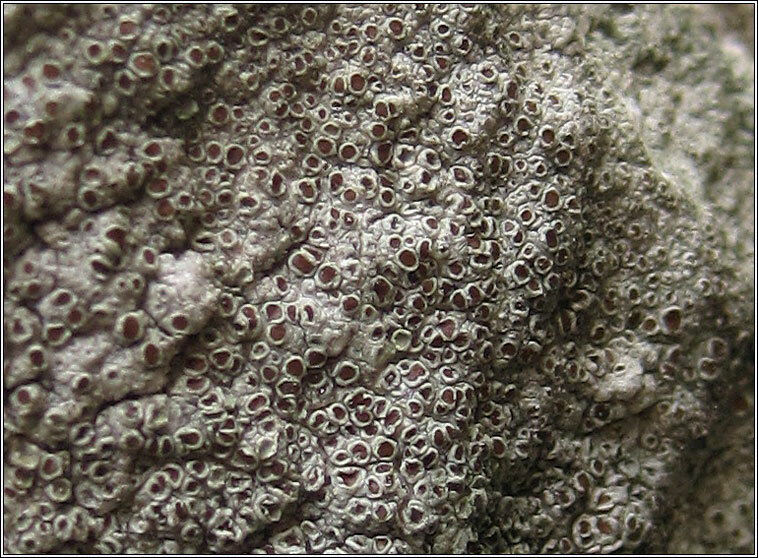 Common on (usually horizontal) basic to calcareous stones, walls, mortar, cement and asphalt. Rare on worked timber. 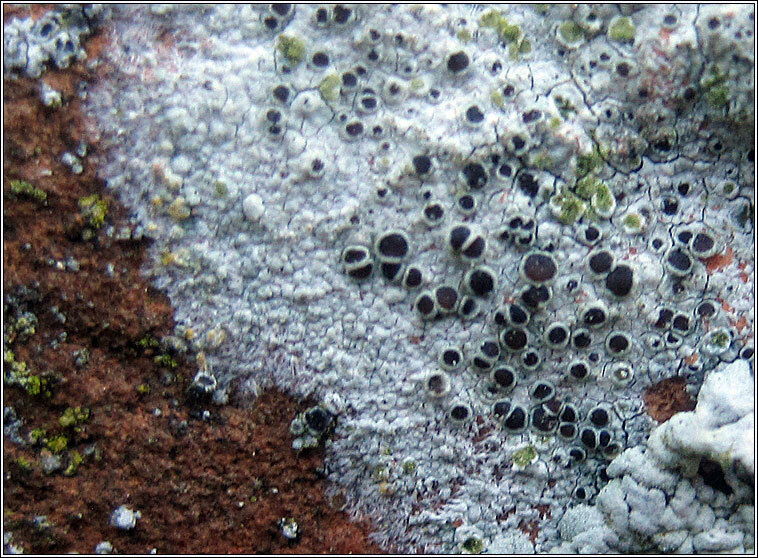 Greyish-white, warted or areolate thallus with a fimbriate white prothallus. 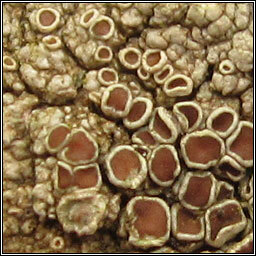 Crowded apothecia, discs reddish-brown with smooth margins that become contorted with age. 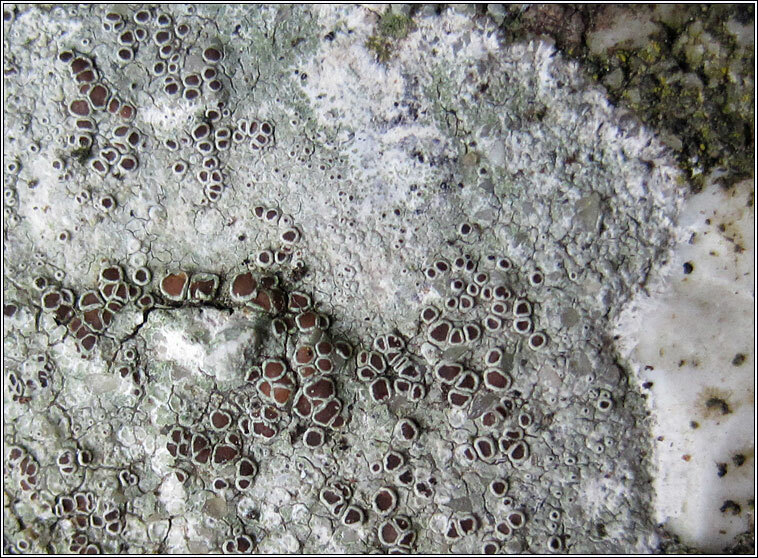 Small, irregular crystals are present in medulla and thalline margin. 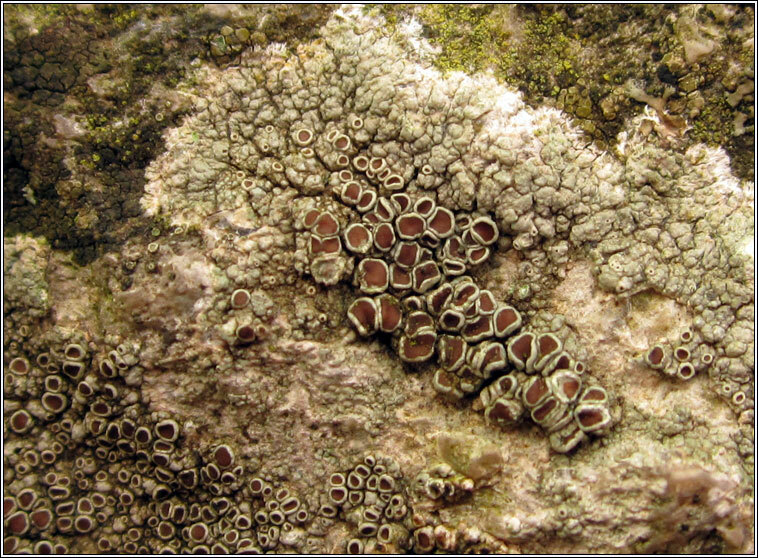 Simple spores, 10-15 x 6-9 µm.